My first blog post of 2019– and it’s already nearly 1/2 way through January! I have re-committed to posting on this blog on most Sundays again this year (I think I made at least 45 Sundays in 2018), in tandem with the Poetry Blog Network, which has a new badge, thanks to Kelli Agodon, and continues to be digested and disseminated by Dave Bonta. 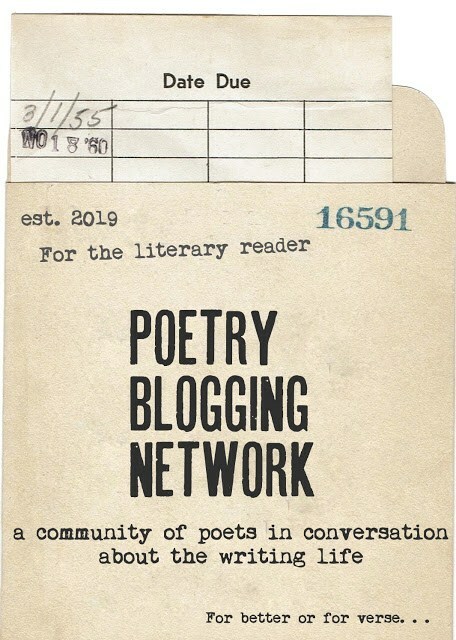 I want to thank and acknowledge everyone in this network who faithfully blogged in 2018, and made me feel like I belong to a poetry family. We never know how much time there will be to accomplish all that we hope to accomplish. Be alert while you are alive. Do what you can. Always remember that the most important thing is to be kind. Take care of your health and get plenty of rest.